Dr Deborah Swallow – Global Cultural Diversity..
Are you looking for improved international business performance, reducing the cost of international trade or making quicker returns in new international markets? Then have Dr Deborah Swallow speak to your organisation about cross-cultural fluency. 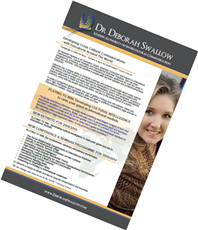 (Book Deborah)..
deliver your strongest message… in way that can be understood effectively across cultures. Recognised as an international authority on cultural diversity, intercultural communication and international business practices, she is a highly-rated and well-respected conference and keynote speaker, seminar leader, author and consultant on cross-cultural communication. Deborah is an inspirational speaker and a rare academic-entrepreneur who brings a depth of understanding and pragmatic insights to busy executives in a way that meets their needs in today’s fast-paced, globalising business arena. Together with her true life stories of successes and failures, her unique blend of hard-hitting professionalism and shot-in-the-arm tactics will challenge you to respond more effectively in a global market to ensure a positive difference for your business performance as well as the people within it! Deborah has an impressive list of international clients in over thirty countries.